Name any valued human trait—intelligence, wit, charm, grace, strength—and you will find an inexhaustible variety and complexity in its expression among individuals. Yet we insist that such diversity does not provide grounds for differential treatment at the most basic level. Whatever merit, blame, praise, love, or hate we receive as beings with a particular past and a particular constitution, we are always and everywhere due equal respect merely as persons. But why? Most who attempt to answer this question appeal to the idea that all human beings possess an intrinsic dignity and worth—grounded in our capacities, for example, to reason, reflect, or love—that raises us up in the order of nature. Andrea Sangiovanni rejects this predominant view and offers a radical alternative. 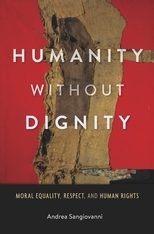 To understand our commitment to basic equality, Humanity without Dignity argues that we must begin with a consideration not of equality but of inequality. Rather than search for a chimerical value-bestowing capacity possessed to an equal extent by each one of us, we ought to ask: Why and when is it wrong to treat others as inferior? 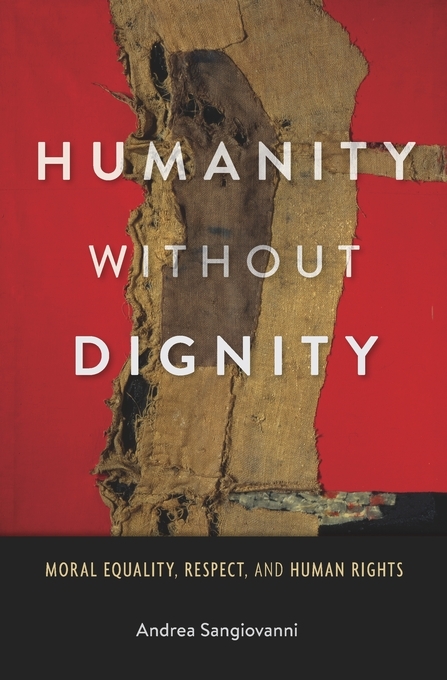 Sangiovanni comes to the conclusion that our commitment to moral equality is best explained by a rejection of cruelty rather than a celebration of rational capacity. He traces the impact of this fundamental shift for our understanding of human rights and the norms of anti-discrimination that underlie it.